Welcome to Southie, where this month's paycheck covers last month's bills and where Margie Walsh has just been let go from yet another job. Facing eviction and scrambling to catch a break, Margie thinks an old fling who's made it out of Southie might be her ticket to a fresh start. But is this self-made man secure enough to face his humble beginnings? With his signature humorous glow, the playwright explores the struggles, shifting loyalties and unshakeable hopes that come with having next to nothing in America. 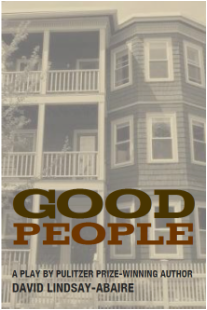 Good People - The Walpole Footlighters - Dan Busler Photography from Dan Busler on Vimeo. 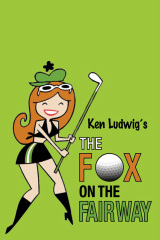 The Fox on the Fairway takes audiences on a hilarious romp that begins as Quail Valley Country Club prepares to take on archrival Crouching Squirrel in the annual inter-club golf tournament. With a sizeable wager at stake, the contest plays out amidst three love affairs, a disappearing diamond, objectionable sweaters, and an exploding vase. A charming madcap adventure about love, life, and man's eternal love affair with golf. 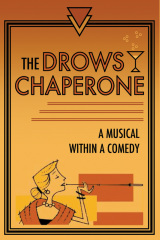 The Drowsy Chaperone pays tribute to the Jazz-age shows of the 1920's and the power they held to transport us into a dazzling fantasy and lift our spirits. A rare combination of originality and talent, it all begins when a die-hard musical theater fan plays his favorite cast album on his turntable and the music literally bursts into life in his living room, telling the rambunctious tale of a brazen Broadway starlet trying to find and keep her true love.